In 1948, Harry Truman ran his re-election campaign, in large part, as a referendum against the Republican Congress. The 80th Congress, labeled by Truman as the “know nothing, do nothing Congress,” obstructed large parts of Truman’s legislative agenda, particularly in regard to strengthening social programs. Ultimately, Truman’s referendum was successful and he managed to gain reelection while his party managed to regain control over the Congress. While Truman’s congressional opponents were obstructionists for their political era, they have absolutely nothing on the current legislature in regard to obstruction. The GOP controlled 113th Congress has brought obstruction to an entirely new level by opposing absolutely everything that Obama or the Democrats suggest, even policies that they once supported (ex. The individual mandate, cap and trade, etc…). In addition to killing any legislation which is lucky enough to pass the de-facto filibuster in the Senate, the 113th Congress has stalled virtually every judicial nomination to be proposed by the Obama administration and has made even housekeeping measures (ex. increasing the debt ceiling) into an epic fight. 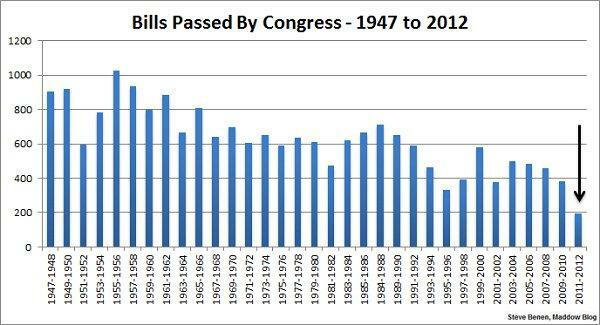 During its entire legislative session, the 80th Congress passed 908 pieces of legislation, while the current Congress has passed only 15 (approximately 1/10 of the bills passed by the 80th Congress during a similar time period). The 80th Congress never shut down the government nor did they threaten to destroy the economy if their demands were not met. The 80th Congress never attempted to stop all judicial appointees, nor did it try to argue that simply filing vacant judicial positions was akin to stacking the courts. 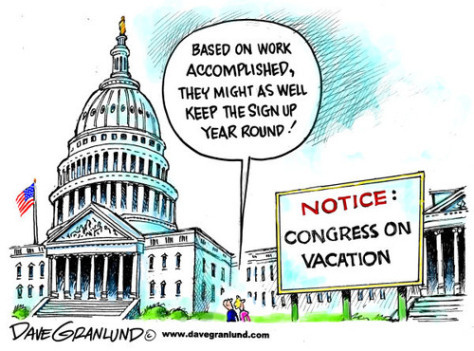 In totality, we are left with the simple fact that the 113th Congress is the real “do-nothing” Congress and that something needs to be done. Unless something changes, the federal legislature will be broken in a way that makes any meaningful legislation impossible to pass—bills promoting commemorative coins will still pass, but real policy priorities like immigration reform will die in legislative limbo. Several months ago, the Senate passed an immigration bill negotiated by the bipartisan “gang of eight” and sent it to the House for a vote or conference committee. This bill is not progressive in the slightest, as it consists of dramatic increases to border security coupled with a path to citizenship that includes a 13-year journey through a legal purgatory—as such, one would think that it would appeal to the Republicans as a palatable way to appear in support of immigration reform, while still remaining draconian in punishing undocumented immigrants. Unfortunately, it appears that the GOP’s “do nothing” strategy in the Congress will not be suspended for the issue of immigration reform, thus the House will continue to be an impregnable bulwark against substantive legislation. To understand just how radical this statement is, one must understand how the legislative process works. 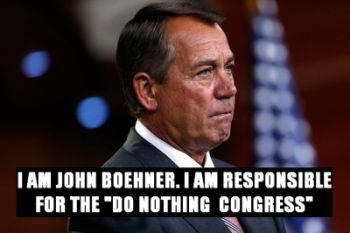 Boehner isn’t just refusing to bring the immigration bill of the Senate up for a vote (which, in and of itself is somewhat extreme), but is also refusing to call a conference in order to negotiate a compromise between the Senate’s bill and the House’s policy preferences—in effect, he is saying that the GOP is rolling up shop in regard to immigration reform and will not even talk about the issue further. This refusal by the GOP leadership to even talk about immigration issues goes beyond simple anti-democratic parliamentary procedures (refusing to bring a bill to a vote because it would pass with a majority of Democrats joining a dozen defecting Republicans) and strikes at the heart of the current GOP’s legislative mindset. Put simply, the GOP leadership wants to do absolutely nothing of substance over the next few years, both to deny Obama any legislative accomplishments and to placate their highly gerrymandered and extreme constituents. It doesn’t matter to them that they aren’t representing a majority of their constituents because they believe that their electoral prospects are most threatened by being seen as an ally of the Democrats. The 113th Congress’s goal is to paralyze the federal government, but that doesn’t mean that the GOP has given up on achieving legislative victories. Rather than winning on the federal level, the Republicans and their donors are moving towards controlling the lower political races in the states. In the absence of a federal law exercising its supremacy, the states have a great deal of latitude in many policy areas. This means that, if the House GOP can stall out the federal legislature, their allies in the states are left to craft legislation that is highly favorable to the GOP without having to worry about dealing with Democrats. 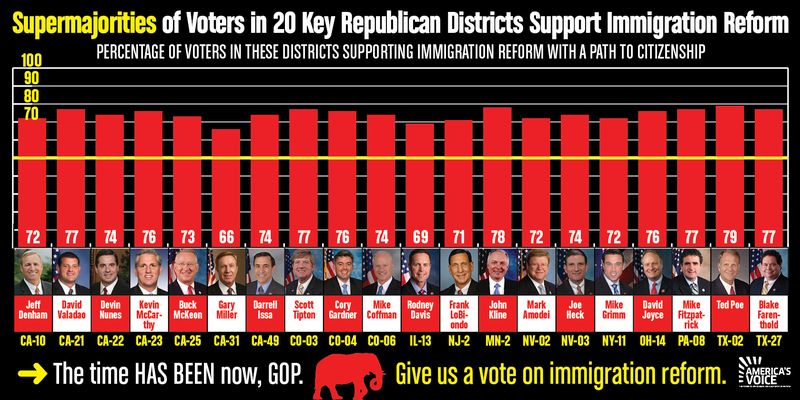 In regard to immigration specifically, the GOP has attempted numerous state-level immigration laws which are simply too draconian to have a chance in the federal legislature. The first such law was the SB1070 “papers please” law of Arizona, but several other states have since joined in (ex. Georgia, Alabama). Currently, the ACLU is challenging these laws on constitutional grounds but, given the recent decision that validated Arizona’s immigration law, it is likely that large parts of these laws will be upheld. Clarity and truth. Thank you.